Apple co-founder and former CEO Steve Jobs has died at the age of 56, the company has said. The visionary leader behind the Macintosh, iPod and iPhone was suffering from pancreatic cancer. Jobs stepped down from his role as CEO on August 24th this year following a long hiatus. He had vowed to continue working with the company as chairman of the board. A statement on the company website says: "We are deeply saddened to announce that Steve Jobs passed away today. 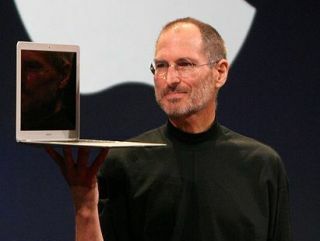 "Steve's brilliance, passion and energy were the source of countless innovations that enrich and improve all of our lives. The world is immeasurably better because of Steve. In a separate statement, his family added: "Steve died peacefully today surrounded by his family. "In his public life, Steve was known as a visionary; in his private life, he cherished his family. We are thankful to the many people who have shared their wishes and prayers during the last year of Steve's illness; a website will be provided for those who wish to offer tributes and memories. "We are grateful for the support and kindness of those who share our feelings for Steve. We know many of you will mourn with us, and we ask that you respect our privacy during our time of grief"